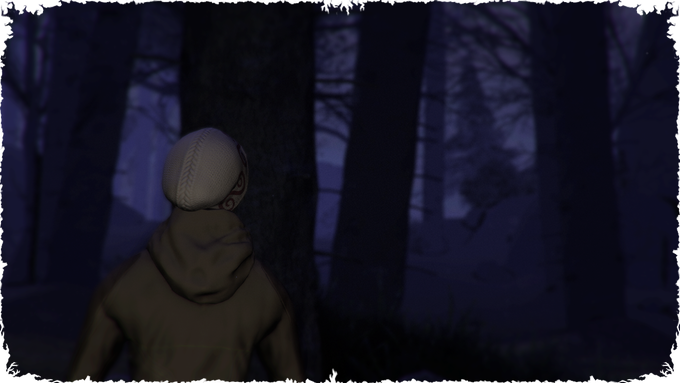 Through the Woods is a third-person psychological horror experience about how far a mother would go to save her son. Through the Woods is set in a forest on the western shore of Norway about a mother and her missing son. Through dynamic narration, you play the mother’s re-telling of the events surrounding her son’s disappearance in a setting heavily influenced by Norse mythology and Norwegian folk tales. The interrogation that covers the mother’s tale is never seen, only heard, as the actions unfolding on the screen have already happened. You control the past, shaping the story of the present. Through the Woods tells a personal and serious story in a setting inspired by Norwegian folk tales and Norse mythology. A woman is being interrogated by a man and is asked a straightforward yet difficult question: “Where is your son?” The mother begins to tell her story, and the game begins. Playing as Karen, you must find your way through the woods, and to your son. The only thing you have to help you is a flashlight, which you must decide carefully when to use. The forest is dark, and a little light helps with navigating, but it also makes you more visible to the unknown things that lurk in the woods. Switching off the flashlight may be safer, as it lets the protagonist focus her other senses on avoiding danger, but it makes navigation difficult. The game’s narrative is delivered through the dialogue in the interrogation room, describing the player’s actions in the past tense, slowly unfolding the mystery of why your son has been taken. Instead of focusing on ‘jumpscares’, the game is meant to instill a lasting sense of dread in the player. This brooding menace is delivered in a slow drip as part of a narrative, interactive experience, with fear and melancholia as the two opposing points of the emotional spectrum. The main gameplay of Through the Woods revolves around exploration, avoiding the dangers of the forest, uncovering the mystery around what happened to your son through collecting story elements and driving the narrative forward by unlocking dialogue along the way. The audio also acts as a core gameplay mechanic, giving you a warning as to what creature may be lurking nearby. By learning from each encounter you can figure out the best way to deal with whatever you meet and whether you run away, hide, or blind your foe with your flashlight. The sound design of Through the Woods plays a very special role in the game and, unlike most other games, actually acts as a core mechanic. On your journey through the forest and across the island, you will come across various enemies and creatures. Some will want to harm you and some will just be protecting their territory, forcing you to take another path. Each creature has its own theme and, based on what you know about their behavior from previous encounters, the sound design will help you survive in the darkness of the woods. 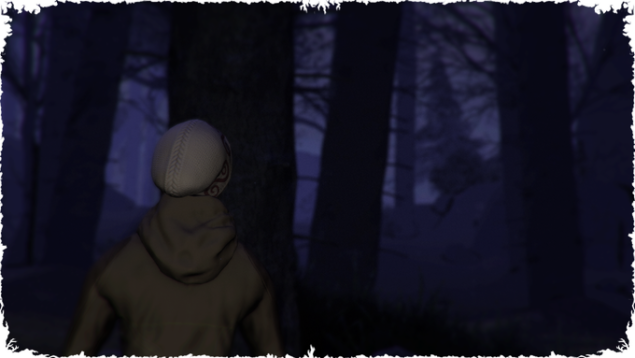 You will usually hear the creatures before you see them, which gives you a little time to prepare your approach, and turning off your flashlight will help you focus your hearing on whatever lies ahead; our night-blindness / sound-focus mechanic. Through the woods is expected to come out Q1 2016 for PC, Mac, and Linux platforms. A demo of Through the Woods is availble for download here.